Two cult albums by The Creed Taylor Orchestra - "Shock" (1958) and "Panic: The Son of Shock" (1959) - were reissued this week on a single CD released by the Righteous label. In the late 50s, Creed was working as A&R at ABC-Paramount, where he would found the Impulse! label in 1960. Later, he joined Verve, A&M, formed his own CTI and the rest is history. Sub-titled "Don't Dare Listen To This Music Alone," "Shock" had his cover art conceived by Matt Schutz, with front cover and liner pics by Tony Triolo. David Drew Zingg signed the liner notes, and Kenyon Hopkins wrote the arrangements and most of the compositions. There are also amazing versions of "Gloomy Sunday," "Spellbound" and specially Alec Wilder's "It's So Peaceful in the Country". Creed Taylor, who was 29 at that time, assembled an all-star cast, featuring Phil Woods (lead alto sax), Jerome Richardson (second alto & flutes), Ray Beckenstein (soprano & bass sax), Ray Alonge (French horn), Barry Galbraith & Mundell Lowe on guitars, Milt Hinton on bass, Osie Johnson on drums, and percussionists Joe Venuto & Brad Spinney. As Zinng points out, "the female voices. groans and screens were provided by Toni Darnay (she can be found in a state of shock on the cover of this album) and Gertrude Warner," with extra sound effects added by Keen Crockett. "A heavy percentage of the gasps, shrieks and groans belong to Keen, and all of the wildly varied sounds were conjured up by him. One microphone was aimed at his feet for the sound of the shuffling intruder, and the other was poised at his mouth for the sounds of breathing. No wonder he couldn't cry for help!" For the follow-up "Panic," Creed and Kenyon Hopkins repeated both the same musicians (Phil Kraus was added to the percussion section) and formula, including amazing renditions of "You're Driving Me Crazy," "Heartaches" and "Out of This World." The album design was done by the Viceroy company, with liner notes provided by Jerry Lanning. An excerpt: "Creed Taylor, who hosts this more-than-slightly-askew soirée, is a blithely imaginative young man...Mild and unassuming to the naked eye, he has constructed here an album which, to the naked ear, may sound a trifle strange. It is not, however, merely a trifle strange." Righteous Records, which recently also released a CD credited to Kenyon Hopkins, "Rooms," including another collaboration with Creed Taylor on the tracks culled from the "Sounds of New York" LP, is advertising the "Panic/Shock" CD with the following text: "Digitally remastered two-fer containing a pair of super rare early albums from the mighty Creed Taylor Orchestra. Fusing soulful Jazz vibes with bizarre and scary effects, Shock and The Son Of Shock, Panic are legendary sets that are off the scale of musical normality. Created by the man who brought Bossa Nova to Jazz and introduced John Coltrane to Impulse, these are stylish Jazz noir affairs with plenty of twists and turns. Unique and powerful arrangements and haunting melody lines." Our records show that you currently live in California's 3oth congressional district. Last week, Republican Senate Minority Leader Mitch McConnell got all 41 GOP senators to promise to oppose Wall Street reform. He thought President Obama would back down in the face of a unified show of force. He was wrong. Instead, the President stood in front of Wall Street bankers Thursday, going to bat for consumers and confronting the toughest of crowds with a strong message: Reform is good for Americans, good for the market, and it's time to get on board. Bipartisan discussions have begun again -- but Wall Street lobbyists are still swarming Capitol Hill, trying to trip up negotiations and maintain the gridlock that has defined Washington for far too long. So now, it's up to us. We need to show Senate Republicans that the American people are watching closely to see whose side they end up on. Tell Sen. McConnell: Stop standing in the way of desperately needed change to win favor with your Wall Street allies. The President laid out a bold plan to hold Wall Street accountable, to protect American taxpayers by ensuring they'll never again be asked to bail out a big firm "too big to fail," and to put in place the strongest consumer financial protections ever proposed. But this fight isn't just about fixing Wall Street. It's also about fixing Washington. For too long, it's been a place where special interests have set the rules and petty partisanship has stood in the way of progress. As the President said Thursday, "We can and must put this kind of cynical politics aside." Thanks to strong leadership from the President and Democrats in Congress, the gridlock is starting to crack, and Republicans are slowly giving signs that they'll come on board. The Senate has even scheduled a preliminary vote for Monday at 5:15 p.m. But Wall Street lobbyists are flooding in to firm up opposition -- trying to carve out loopholes and exemptions for big banks and lenders who have long exploited consumers. P.S. -- Want to learn more about what reform means for you? Check out our online Wall Street reform resource center. Vinyl of the Day - "Jimmy Smith: La Métamorphose des Cloportes"
"An incredible record by Jimmy Smith -- unlike anything we've ever heard from him! 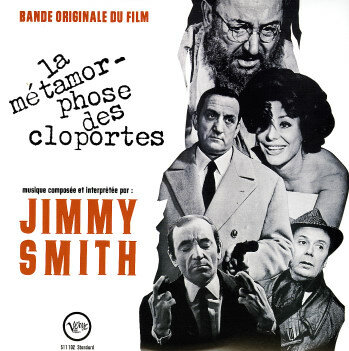 The session is a rare French soundtrack one -- recorded in 1965, in a setting that was quite different than any of Jimmy's American sessions from the same time. According to the notes, Smith was just shown the film, and given free reign to improvise as needed. The result is a set of tracks that at times almost resembles Larry Young's work more than it does any of Smith's sides for Blue Note or Verve -- moody and atmospheric tracks that still swing nicely, but have a strong degree of freedom. Rhythm is by Quentin Warren on guitar and Billy Hart on drums -- and titles include "Love Theme", "Generique", "Blues Pour Alphonse", "Melodie Pour Catherine", and "Angoisse/Race Track Blues". © Dusty Groove America, Inc."
Gene Lees, a jazz historian and critic known for his pugnacious, highly personal essays and biographies of such jazz greats as Oscar Peterson, Woody Herman and Johnny Mercer, died Thursday at his home in Ojai. He was 82. Lees had struggled for many years with heart disease, said family friend Leslie A. Westbrook. 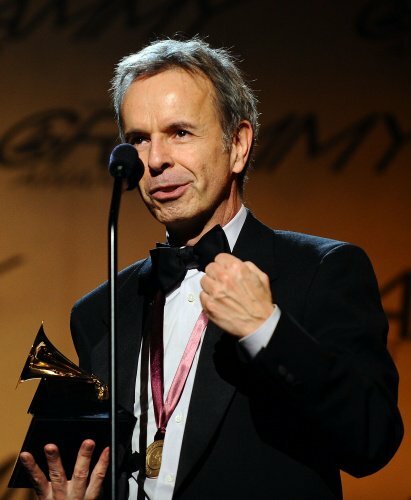 A Canadian by birth who moved to Ojai more than 30 years ago, Lees was also a lyricist and composer who wrote the words for a number of classics, including the English lyrics for Brazilian composer Antonio Carlos Jobim's "Quiet Nights of Quiet Stars." As a collaborator, Lees also wrote "Waltz for Debby" with pianist Bill Evans and "The Right to Love" with composer Lalo Schifrin. Lees also had the distinction of collaborating with a pope: He translated poems written by Pope John Paul II when the latter was a Polish priest named Karol Wojtyla. The result was a cycle of songs recorded in 1985 called "One World, One Peace." Sarah Vaughan was the vocalist. 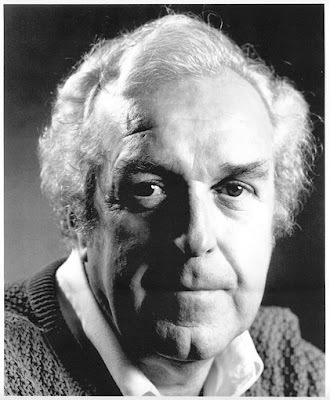 A former editor of Downbeat, the influential jazz magazine, Lees was most prolific as a critic and historian, writing essays on jazz and other topics for the Gene Lees Jazzletter, a private monthly newsletter he founded in 1981 that had more than 1,000 subscribers, including many musicians. Former New Yorker editor Robert Gottlieb, who excerpted two Lees pieces in his 1996 anthology "Reading Jazz," described Lees as "a strong presence in jazz" who was "equally fierce as advocate and enemy -- outspoken, passionate, even polemical." Gottlieb said Lees was "at his formidable best" in the appreciations he wrote on musicians he knew intimately, such as Evans, the influential pianist whose heroin habit contributed to an early death in 1980 at 51. Lees, as critic Nat Hentoff once wrote, was "one of the relatively few chroniclers left who has known the musicians he writes about long and well." Among Lees' 18 books are "The Modern Rhyming Dictionary: How to Write Lyrics" (1981), "Oscar Peterson: The Will to Swing" ( 1988), "Waiting for Dizzy" (1991), "Cats of Any Color: Jazz Black and White" (1994), "Leader of the Band: The Life of Woody Herman" (1995) and "You Can't Steal a Gift: Dizzy, Clark, Milt and Nat" (2001). He recently completed a biography of band leader Artie Shaw. 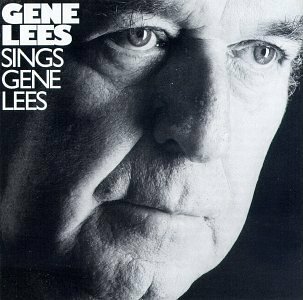 Eugene Frederick John "Gene" Lees was born Feb. 8, 1928, in Hamilton, Canada. He attended Ontario College of Art in Toronto and from 1948 to 1955 worked as a journalist at several Canadian newspapers. In 1955 he moved to Kentucky, and for the next three years he was a critic and editor for the Louisville Times. 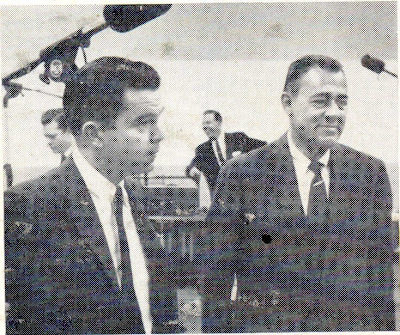 In 1959 he became editor of Downbeat but stayed for less than two years. He gave a number of explanations for leaving in 1961, including his refusal to stop putting black musicians on the cover. After leaving Downbeat he joined a State Department tour of South America with the Paul Winter Sextet. In Brazil he met Jobim. "I told Jobim that his songs could be done in English and I showed him what could be done.... I wrote 'Quiet Nights of Quiet Stars' on a bus going to Belo Horizonte and mailed it back to him in Rio. It was my first professional lyric," he told Harrigan Logan for an article published in 2006 on the website of the Robert Farnon Society. After "Quiet Nights" became a hit in the United States, Lees had more collaborations with Jobim and other bossa nova artists. 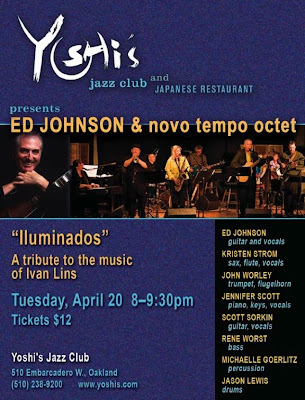 Lees "helped take bossa nova into a broader American market by writing English lyrics," said jazz critic Don Heckman. 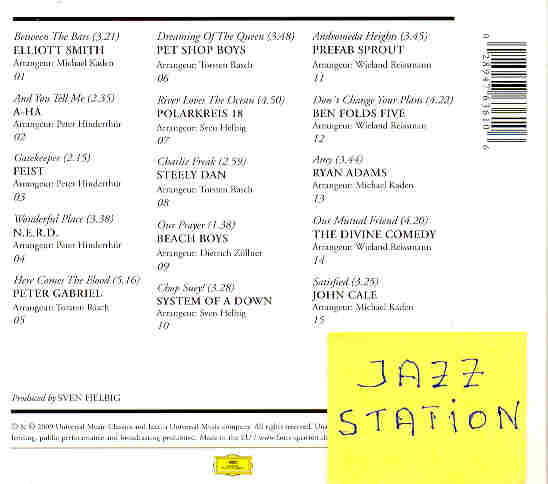 Lees' love of jazz began when he was 12. While riding his bike near Niagara Falls, he noticed a crowd of people outside a ballroom and sneaked through a side door, where he glimpsed "this amazing scene of these gleaming instruments and these dapper, self-contained men." Those men were members of the Duke Ellington band. "They started out with 'Take the A Train' and wham! It took my breath away," he recalled in a 1993 Newsday interview. "I got hopelessly strung out on that music from then on." A couple of decades later, as Downbeat editor, he began to meet the jazz greats whose music he loved and eventually shared a stage with some of them, including Dizzy Gillespie. In his piece "Waiting for Dizzy," he wrote: "There is a gesture he has, a motion, that always reminds me of a great batter leaning into a hit. He has a way of throwing one foot forward, putting his head down a bit as he silently runs the valves, and then the cheeks bloom out in the way that has mystified his dentist for years, and he hits into the solo. When that foot goes forward like that, you know that John Birks Gillespie is no longer clowning. Stand back." Lees' wife of 39 years, Janet Suttle Lees, plans to continue publishing the Jazzletter. He is also survived by a son from a previous marriage, Phillippe; a sister, Victoria Lees; and a brother, David. Services will be private. Gene Lees, a multitalented writer who left a lasting mark on jazz as a biographer, opinionated critic and graceful song lyricist, died April 22 at his home in Ojai, Calif., after a stroke. He was 82. 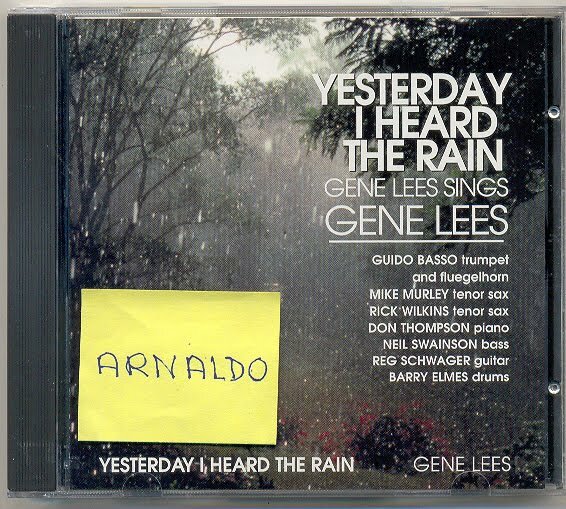 After working as a journalist early in his career, Mr. Lees began to write song lyrics in the 1960s and was best known for his collaborations with Brazilian composer Antonio Carlos Jobim. His lyrics to Jobim's "Corcovado" (known in English as "Quiet Nights of Quiet Stars") have been recorded by Frank Sinatra, Ella Fitzgerald, Diana Krall and dozens of other singers, including Mr. Lees himself. He made his most lasting mark on the world of jazz, however, with a series of deeply personal essays and books that delved into the personal lives of musicians and sometimes upset popularly held beliefs. Since 1981, Mr. Lees had published his idiosyncratic Jazzletter, a monthly collection of essays that was something of a blog before the term was invented. It became an underground sensation among musicians and critics, and Mr. Lees often reworked articles from his newsletter into books. "When you are young, in any generation, major public names surround you like great trees. When you grow older, and start losing friends, one day you realize that you don't have many left. And then there is another dark revelation: even those famous figures are going, and one day it comes to you: They're clear-cutting the landscape of your life." Much of Mr. Lees's writing grew out of his friendships with leading musical figures, including trumpeter Dizzy Gillespie, singer Peggy Lee and songwriter Johnny Mercer. He had a close association with pianist Bill Evans and composed a memorable set of lyrics to one of Evans's best-known tunes, "Waltz for Debby." "He brought that great set of journalistic skills to the demanding business of writing critical biographies," critic Doug Ramsey said Friday. "He was acerbic, argumentative and opinionated, but you couldn't help liking him." Mr. Lees also wrote a biography of pianist Oscar Peterson, a fellow Canadian. After making headlines in the 1950s with an article detailing how a white barber refused to cut Peterson's hair, Mr. Lees often wrote about matters of race, sometimes in unexpected and challenging ways. His 2001 book, "You Can't Steal a Gift," assessed the racial burden faced by black musicians Nat "King" Cole, Gillespie, Milt Hinton and Clark Terry. In another book, "Cats of Any Color" (1994), Mr. Lees described the discrimination faced by black musicians and confronted a subject few other writers were willing to touch -- "Crow Jim," or reverse racism toward white musicians. He drew on historical scholarship to show that jazz contained elements from many cultures and that black and white musicians freely borrowed from each other from the beginning. Never tentative in his views, Mr. Lees was loudly opposed to what he saw as modern tendencies to segregate jazz again and label it exclusively "black music." He liked to quote Louis Armstrong, from whom he took the title of his book: "It's not a crime for cats of any color to get together and blow." Frederick Eugene John Lees was born Feb. 8, 1928, in Hamilton, Ontario. His father, a violinist, gave him an early exposure to music. When he was 12, Mr. Lees sneaked into a ballroom where the Duke Ellington Orchestra was playing and was never the same. "It took my breath away!" he recalled in 1993. "I got hopelessly strung out on that music from then on." After studying at the Ontario College of Art, Mr. Lees worked as a newspaper reporter in Canada and Louisville. Mr. Lees was editor of DownBeat magazine, the bible of jazz, from 1959 to 1961. He was a contributor to Stereo Review and High Fidelity while pursuing a second career as a songwriter. In 1983, he helped set the poetry of Pope John Paul II to music. Mr. Lees's marriages to Carmen Lister and Micheline Ducreux ended in divorce. Survivors include his wife of 38 years, Janet Suttle Lees of Ojai; a son from his second marriage; a sister; and a brother. Mr. Lees wrote a book about composing song lyrics and became a leading authority on the subject, as well as a stout critic of rock music. "As for songwriting," he said, "the best training I know is to sing -- and study the works of the great writers such as Johnny Mercer, Cole Porter, and Harold Arlen, who gave us an astonishing body of masterpieces before rock-and-roll brought our musical culture crashing down." One of our favorite contemporary vocalists, Gino Saputo will be celebrating her birthday (actually, it was yesterday) at Steamers, TONIGHT, with John Storie (guitar) and Eric Sittner (bass). Don't miss it! * Daphne Rose Kingma discussing & signing "Ten Things to Do When You're Life Falls Apart"
* Workshop w/ Hope Reachea "Hope Speaks on The Mind"
* ARE YOU READY TO SHAPE-SHIFT YOUR HEART? c/o Meghan Mulqueen, M.A. * Workshop w/ Tasha "Create From Your Soul"
TATOU 2nite - Free Entry All Night + Free Food & Drink b4 10pm! Free Entry All Night w/ RSVP!!!!!!! + Free appetizers & drinks b4 10pm! Exclusively 21 & Over 2 Dance Floors 2 Levels of Entertainment VIP Plush Booths 5 VIP Areas Intelligent Sound & Lighting 3 fully stocked bars 2 side bars 30 Plasma TV's Smoking Patio 2 Clubs in 1 1,300 Capacity Convenient $5 Parking across the street! Our Impeccable Bottle Specials include Appetizers, Champagne, Beer Buckets, Cake, Balloons, Announcements on 30 Plasma Screens + More! Inquire w/ Pete G for details. Reserve Bottle Service w/ Pete@SuperstarsVIP.com or Call/Text Pete G. @ http://www.facebook.com/l/0daf9;323.394.3917 for Guest List! 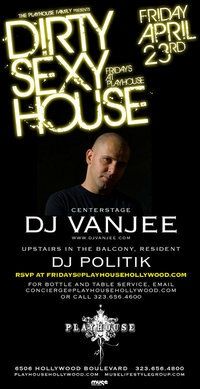 DJ Vanjee from Kiss N Fly in NYC is back this Friday. Reminiscences about my dear friend (and idol) Gene Lees published yesterday by renowned jazz historian Doug Ramsey on his essential Rifftides blog. I'm devastated. His books, essays, lyrics, records and liner notes were always superlative works. Our mutual friend, producer Creed Taylor, usually referred to him as a "jazz guru." Btw, Gene wrote the notes for several great albums produced by Creed for Impulse! ("Getz Au Go Go," "The Gary McFarland Orchestra - Special Guest Soloist: Bill Evans"), Verve ("Getz/Gilberto") and CTI, the last one being the all-star project "Rhythmstick" in 1989. A friend of Antonio Carlos Jobim (Gene wrote the English lyrics for many of his tunes, including my favorite one, "Double Rainbow," and Diana Krall's personal favorite "Quiet Nights") and João Gilberto, he first met both masters in a rainy night in May 1962, signed the texts for the legendary "Getz/Gilberto" in 1963, and later to "The Best of Two Worlds," the second - and last - studio date by Gilberto and Stan Getz, released by Columbia in 1975. Gene was always proud to comment that "Stan, Jobim and I are all Aquarians." Gene also did the wonderful set of notes for the 4-CD box set "Claus Ogerman: The Man Behind the Music," for Universal in 2002. Let's hear it. And read it. RIP. Katia Moraes & the Brazilian Heartsheat up the stage at Nyx. The unique Katia will perform with Mitchell Long, Hussain Jiffry and Tony Shogren. Special guest: Colin Walker on 7-string guitar. Cover charge: $15. By reservation only. CD of the Day - "Marcus Miller: A Night in Monte-Carlo"
Marcus Miller: "A Night in Monte-Carlo" (Soulfood/Dreyfus) 2010 Produced & Arranged by Marcus Miller, recorded live in Monaco at the Monte-Carlo Jazz Festival, it was released in Europe last March 26, and will be out in Japan (by JVC) next May 19. 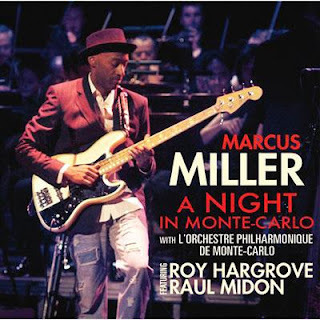 Featuring: Marcus Miller (doubling on electric bass & bass clarinet), Roy Hargrove(trumpet), Raul Midon (vocals & guitar), Alex Han (alto sax), DJ Logic (turntables), Federico Gonzalez Pena (piano, keyboards, percussion), Poogie Bell (drums), special guest Herbie Hancock (piano on “Strange Fruit”) and the Monte-Carlo Philharmonic Orchestra. Tracklist also includes remakes of Miles Davis' "So What," Gershwin's "I Loves You Porgy," Miller's own hit for Miles Davis "Amandla," the gorgeous jazz ballad "I'm Glad There Is You," the spiritual "Amazing Grace" and an amazing medley with the famous aria "O Mio Babbino Caro" (from Giacomo Puccini's 1918 opera "Gianni Schichi") and Jorge Ben's "Mas Que Nada" (previously recorded by Miller on Al Jarreau's 1994 "Tenderness" project). Scot Albertson live in NY, tonite! Moravian jazz faculty members, David Roth, Lou Lanza, & Alan Gaumer, put their student ensembles through their jazz paces in this evening of old and new tunes for instruments & voices. "My ensemble will be doing selections from Cy Coleman's jazzy film noir styled musical, "City of Angels," says jazz singer Lou Lanza. 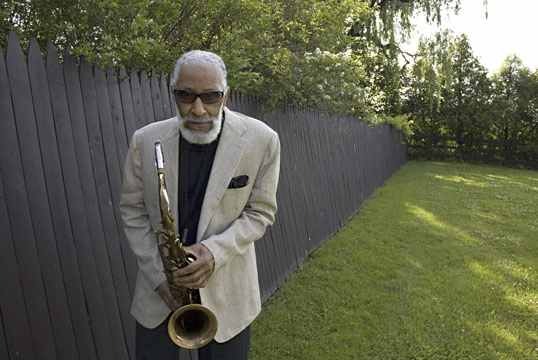 Tenor sax titan Sonny Rollins is one of 229 leaders in the sciences, social sciences, humanities, arts, business, and public affairs who have been elected members of the American Academy of Arts and Sciences, it was announced on Monday. A center for independent policy research, the Academy is among the nation's oldest and most prestigious honorary societies and celebrates the 230th anniversary of its founding this year. A complete list of the 2010 class of new members is available at http://www.amacad.org/news/a2z10.pdf. "It is a tremendous privilege and honor to be made a Fellow of the American Academy of Arts & Sciences," says Rollins. "Not only for me, but for what I represent -- the great American music called jazz." In the humanities and arts, other new members include Francis Ford Coppola, Denzel Washington, Suzanne Farrell, and Thomas Hampson. The scholars, scientists, writers, artists, and civic, corporate, and philanthropic leaders in the 2010 class include winners of the Nobel, Pulitzer, and Shaw Prizes; MacArthur and Guggenheim fellows; and Grammy, Tony, and Oscar Award winners. Rollins was nominated for this honor by the Minneapolis-based Academy member Dr. Apostolos P. Georgopoulos, a neuroscientist, amateur saxophonist, and longtime Rollins fan. "It's a terrific tribute to a legend," says Georgopoulos, "and a jewel in the Academy's crown." The new class will be inducted at a ceremony on October 9, at the Academy's headquarters in Cambridge, Massachusetts. Since its founding in 1780 by John Adams, James Bowdoin, John Hancock, and other scholar-patriots, the Academy has elected leading "thinkers and doers" from each generation, including George Washington and Benjamin Franklin in the 18th century, Daniel Webster and Ralph Waldo Emerson in the 19th, and Albert Einstein and Winston Churchill in the 20th. The current membership includes more than 250 Nobel laureates and more than 60 Pulitzer Prize winners. 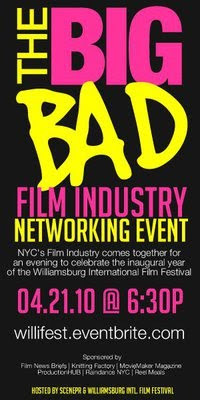 SCENEPR & Williamsburg International Film Festival co-host this important industry event in Manhattan at GStaad. We invite you to come celebrate the launch of the Williamsburg International Film Festival! The night will feature lots of mingling, drinking and networking with film & entertainment industry professionals from all over NYC. Complimentary hors'dourves & cappuccino provided by Reel Meals! Vinyl of the Day - "Erotica 9"
Tim B, Martin Sky & DJ Angeline - "Thursdays @ the Standard"
"Purple Lounge at Standard hotel on Sunset, is one my favorite places to hang out and I am really excited to play there this Thursday," says Martin Sky. "It always attracts the best crowd in LA and is frequented by hotel guests from around the world. Exceptional design and no hustle FREE entry." THURSDAY NIGHTS AEROBAR presents the best house music and the party continues with INDUSTRY PLAYGROUND in the V.I.P room. Get ready to jump on the dance floor with residents VINICIO ROTELLI & NELSON DIAZ. Remember all the guests are comp @ door till 1:00 am (just say INDUSTRY PLAYGROUND guest) and for the ladies no cover all night long with complementary cocktails till midnight. Also in the main room the best ones with an open format set CARDI & RADAMAS. So get ready! This party is getting better and better each week. Hosted by Maribel Salazar! See you Thursday! 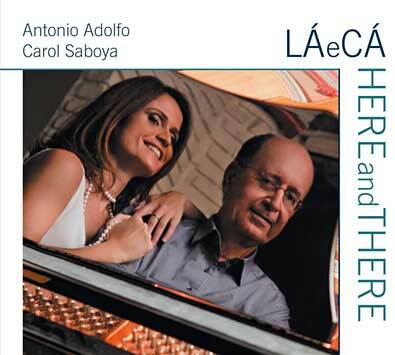 CD of the Day - "Antonio Adolfo & Carol Saboya: Lá e Cá/Here and There"
Jazz and Brazilian music have shared a rich interactive history for the last half-century. 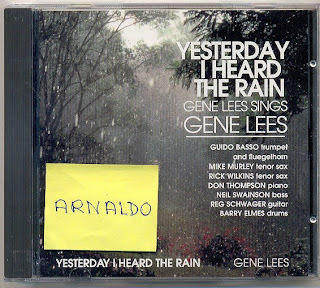 Pianist/composer Antonio Adolfo was one of those young Rio players in the early 1960s who found himself captivated by those new sounds, both at home and abroad, having debuted during the bossa nova era as the leader of the Trio 3-D. On his new CD, "Lá e Cá" (Here and There), released today, April 20, on his AAM label, Adolfo juxtaposes his own compositions and three of Jobim's with jazz and American Songbook classics to create a showcase for this alluring musical synthesis and for Adolfo's self-described obsession with Brazilian phrasing. 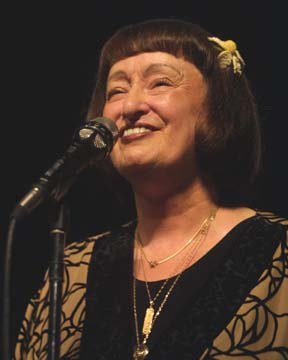 His vocalist daughter Carol Saboya is featured on five tracks - one in Portuguese ("Sabiá") and the others in English ("All the Things You Are," "A Night in Tunisia," "Time After Time," "So in Love"). Throughout "Lá e Cá," Adolfo applies his Brazilian phrasing to American songs such as "Easy to Love" ("I am a passionate admirer of Cole Porter's music"), "Lullaby of Birdland" (performed in a medley with Jobim's "Garoto," originally titled "Choro" on the "Stone Flower" masterpiece), and Jerome Kern's "All the Things You Are." Jobim's "Nuvens Douradas" (from "Matita Perê") is paired with Porter's "Ev'ry Time We Say Goodbye." "Time After Time" is inspired by Chet Baker's 1954 recording, which enthralled Adolfo and other Brazilian musicians. "It's safe to say that his vocal interpretations have influenced an entire generation of musicians in Rio/Brazil," states the pianist. Adolfo's own work is represented by two early compositions, "Cascavel" and "Toada Jazz (O Retirante)," and the more recent "Minor Chord." 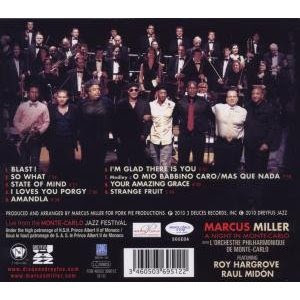 Recorded in Rio de Janeiro in December 2009, "Lá e Cá" was produced and arranged by Adolfo and features Uruguayan-born guitarist Leo Amuedo (a frequent collaborator with Ivan Lins), bassist Jorge Helder, drummer Rafael Barata and first-call player Serginho Trombone (a veteran of countless studio sessions). "Lá e Cá" picks up where father and daughter left off with their critically acclaimed 2007 CD, "Antonio Adolfo and Carol Saboya Ao Vivo/Live." "I love performing with Carol," says Adolfo. "She's very jazz-oriented, the type of singer musicians like to play with." In addition to his prolific work as a pianist, composer, and arranger, Adolfo, 63, continues to be a leader in music education. The Centro Musical Antonio Adolfo in Rio and a new experimental Brazilian music school in Hollywood, Florida, where he resides, are a big part of his current professional life. Saboya, 35, also teaches at the Centro, in Rio, and maintains her own recording career, which began with an appearance on Sergio Mendes's Grammy-winning "Brasileiro" (1992). Carol's CDs include the Prêmio Sharp award-winning "Dança da Voz," and "Janelas Abertas" (a session with guitarist Nelson Faria) as well as "Sessão Passatempo," "Presente," and the recent "Chão Aberto," all released in Brazil. Her "Bossa Nova" and "Nova Bossa" were made for JVC Japan. 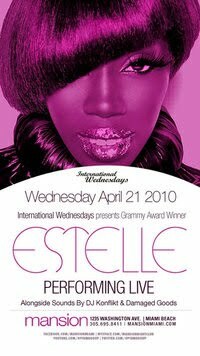 International Wednesdays presents Grammy Award Winner, Estelle, performing live at Mansion Nightclub in Miami Beach. Alongside sounds by DJ Konflikt & Damaged Goods. The UK's finest, multiple award-winning artist Estelle is an R&B singer-songwriter, rapper and producer. She won a grammy for "American Boy" featuring Kanye West in the category best rap/sung collaboration. She also has received the MOBO for 'Best Newcomer' and received three consecutive 'Best Female Artist' trophies from the UK Hip-Hop Awards. Estelle recently announced that she will be releasing her third album, titled "All of Me," which includes the lead single "Freak" featuring Kardinal Offishall. 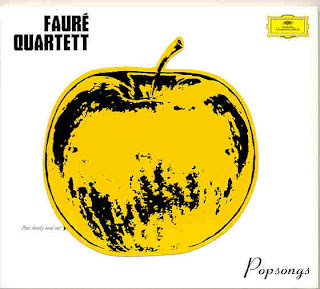 CD of the Week - "Fauré Quartett: Popsongs"
It's not jazz, but it's better, more inventive and more provocative than most of the dozens of jazz records I receive each week. A really amazing album, full of creative energy and impeccable performances by the Fauré Quartett (Erika Geldsetzer on violin, Sascha Frombling on viola, Konstantin Heidrich on cello & Dirk Mommertz on piano), featuring unpredictable chamber arrangements - by the likes of Peter Hinderthur, Wieland Reissman and producer Sven Helbig - of pop tunes. Highlights: N.E.R.D. 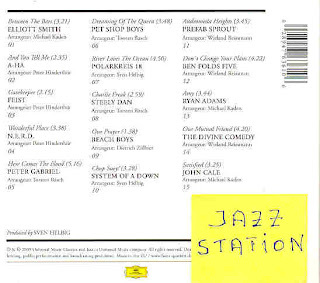 's "Wonderful Place," Ben Folds Five's "Don't Change Your Plans," Pet Shop Boys' "Dreaming of the Queen," Polarkreis 18's "River Loves the Ocean," Steely Dan's "Charlie Freak," and System of a Down's "Chop Suey!" 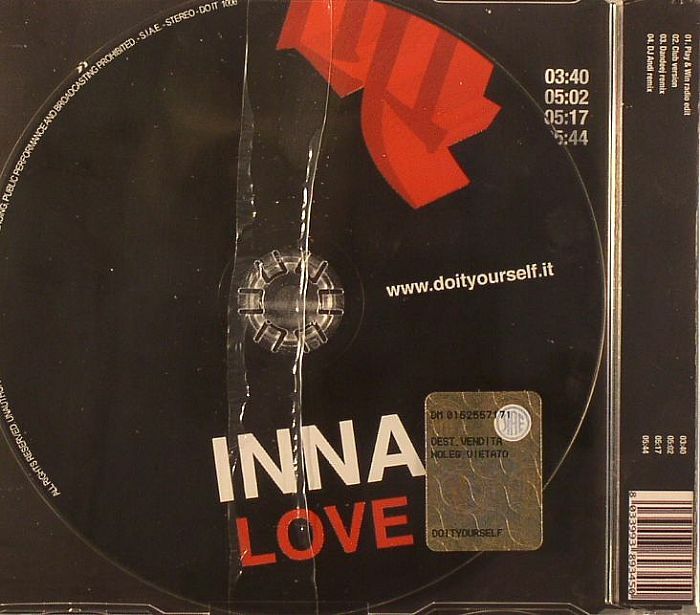 Recorded, mixed & edited by Tobias Lehman at Teldex Studios (Berlin) in May/July 2009. Gorgeous sound quality for a perfect album! 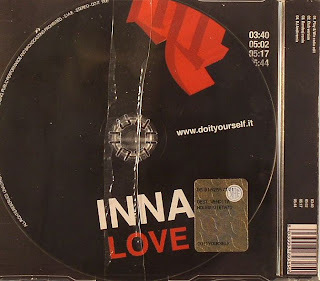 CD-Single of the Day - "Inna: Love"
DVD of the Day - "Kenia: Live at Warsaw Jazz Festival"
Featuring: Jay Ashby, Portinho, Leo Traversa, Martin Ashby, Romero Lubambo and special guest Mickal Urbaniak, the great Polish violinist, who sits in only on "Over the Rainbow." Highlights: Toninho Horta's "Distant Horizon" and "Aqui, Oh!," Djavan's "Serrado," Jay Ashby's "What Are You Looking For" and the haunting jazz ballad "Good Morning Heartache," made famous by Billie Holiday and recorded, in the mid-80s, by another Brazilian singer, Flora Purim. Curiously, the opening instrumental tune, Claudio Roditi/Ricardo Silveira's "The Monster and the Flower" is identified (ie, mistitled) "Introducing the Band," wrongly credited to Jay Ashby and Romero Lubambo. 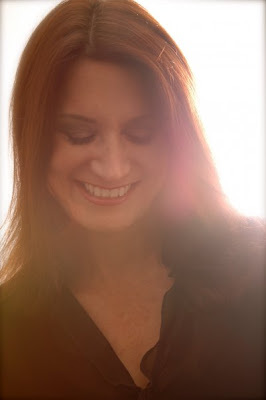 Laurie Antonioli live in California, tonite! There's still some seats available. Call 510-845-5373 to make a reservation or buy tickets at the door. "I'm looking forward to singing with Matt Clark, John Shifflett, Jason Lewis, Sheldon Brown and Dave McNab. A great band! We're doing songs from our upcoming release "American Dreams". Hope to see you there," says Laurie. Please join the LA music community, friends and family as we honor pianist/composer Bill Cunliffe for his 2010 Grammy Win and his third nomination. 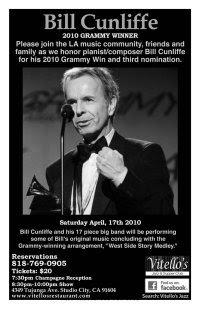 Bill Cunliffe and his 17 piece big band will be performing some of Bill's original music concluding with the Grammy-winning arrangement, "West Side Story Medley". Bill Cunliffe is one of contemporary jazz's most celebrated pianists, composers and arrangers. In January, he won a Grammy Award in the category of Best Instrumental Arrangement for his "West Side Story Medley" from the album "Resonance Big Band Plays Tribute to Oscar Peterson." He's also received acclaim for his most recent album, "The Blues and the Abstract Truth, Take 2." There will be a Champagne Toast to honor Bill's recent Grammy success. 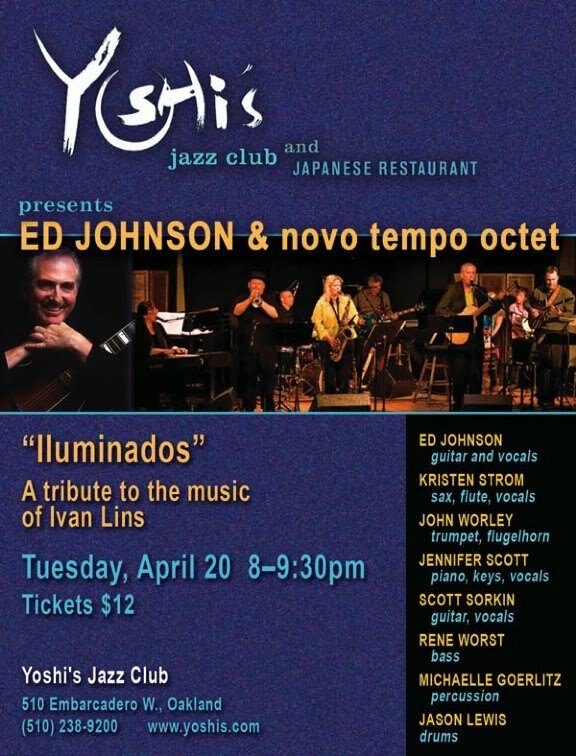 Don't miss this very special night at the home of quality jazz and music with class - Upstairs at Vitello's. $13.00 food or beverage minimum. 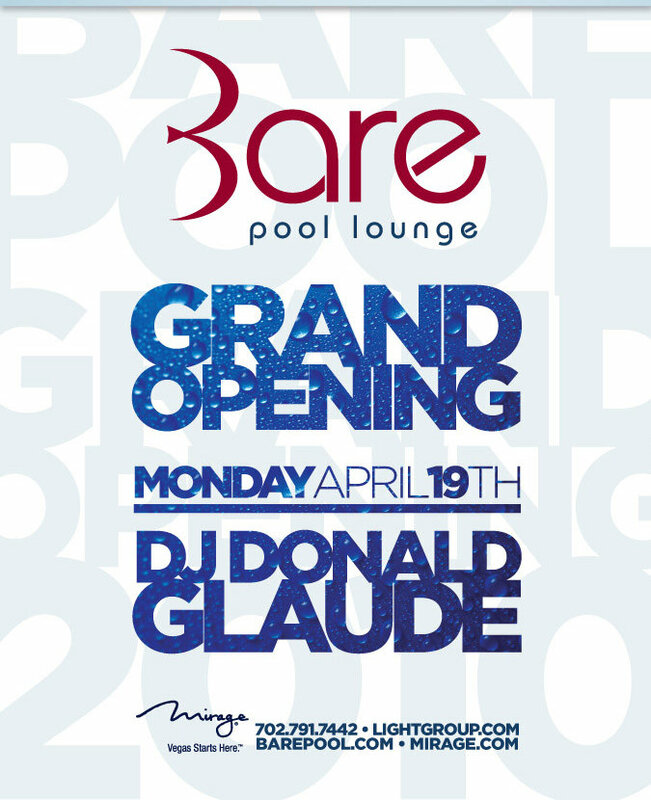 April 19, set starts @ 4AM! 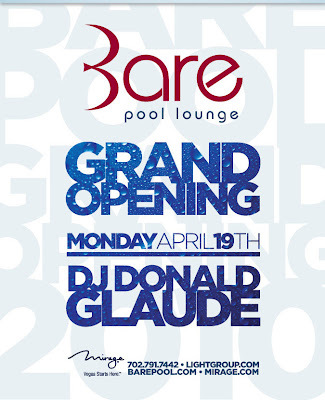 On Monday, April 19 @ 4 am join us to celebrate "THE REAL 5 YEARS ANNIVERSARY PARTY". Thanks to all INDUSTRY PLAYGROUND friends we are able to have another birthday is been a pleasure to bring you the best we can every Monday morning. As you know this party was created for in the bizz people so they can come and make the dancefloor their playground. And this coming Monday is not gonna be any different because the residents MATT,VINICIO & NELSON are gonna make sure u don't stop jumping ...and for the first time @ the playground special guest DJs/producers IVAN D & NIKOLAS . So, you know this is going to be a great event! Come early. Open bar till 5 am and drink specials all morning. See you party people! Many thx to my dear friend Maribel Salazar for the invitation. You are invited to an amazing DINNER PARTY at KITCHEN 305 on Saturday April 17th! Television show "LIVIN LA VIDA MIAMI" will air April 24th on MY 33/CBS4 and broadcast all throughout South Florida! AND SPECIAL SURPRISE CELEBRITY GUESTS!!!!!!!!!!! Thx to my friend Carrie Mesa for the invitation! Tonite FRIDAY APR 16, plus tomorrow SAT APR 17, FROM 8:30P-1A ($13) STEAMERS PRESENT THE POWER TRIO OF ANTHONY WILSON, LARRY GOLDINGS AND JEFF HAMILTON. RESERVATIONS ARE HIGHLY RECOMMENDED AS STEAMERS EXPECTS BIG CROWDS. PLEASE CALL THE CLUB AT 714-871-8800 TO RSVP! Anthony Wilson is one of the leading jazz musicians of his generation. Noted for his imagination, maturity, and depth, the guitarist/composer/arranger has recorded seven critically-acclaimed solo albums since 1997, including his Grammy-nominated self-titled debut, and "Power of Nine," which was included in The New Yorker's roundup of the top ten jazz albums of 2006. Wilson is captured at his most fluid and most relaxed on "Jack of Hearts," his newest recording. Leading a virtuoso trio - Larry Goldings on Hammond Organ, and either Jeff Hamilton or the legendary Jim Keltner on drums - in a high-energy and elegant collection of performances recorded direct-to-two-track analog, Wilson approaches the classic guitar-organ-drums trio format with reverence and a spirit of play and possibility. A sensitive and gifted accompanist as well as a formidable soloist, Anthony Wilson has been an indispensable member of Diana Krall's quartet since he joined her in 2001 for a series of performances at Paris' Olympia Theater that were collected on the Grammy-winning CD/DVD "Live In Paris" (Verve), already widely considered a modern jazz classic. Recent recordings and performances with Willie Nelson, Mose Allison, Bobby Hutcherson, Madeleine Peyroux, Jessie Baylin, and Aaron Neville have continued to spotlight Wilson's growing artistry, musical flexibility, and improvisational authority. The producers Tommy LiPuma and Joe Henry have called on Wilson for his unique contributions to their projects; and Bennie Wallace, Larry Goldings, Harold Land, the Clayton-Hamilton Jazz Orchestra, and his father, the legendary composer/arranger/bandleader Gerald Wilson, are just a few of the well-respected artists with whom the gifted guitarist has forged fruitful, lasting partnerships. Anthony Wilson's deep understanding of jazz tradition and his equal willingness to take risks are the hallmarks of his skillful, inspired work as a composer and arranger. 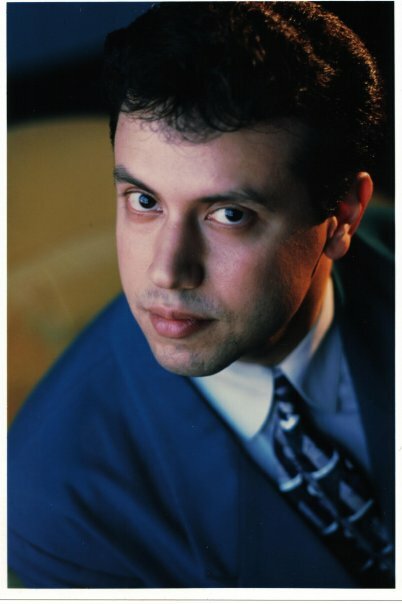 Wilson won the Thelonious Monk Institute International Composers Competition in 1995, and since then has received numerous commissions for small- and large-scale original works. In 2008, his orchestral composition "Virgo" was commissioned by the LA Philharmonic Association and premiered at the Hollywood Bowl; and in 2009 his arrangement of Ivan Lins' "Love Dance" was featured on Barbra Streisand's "Love is the Answer." Every year since 2000, Anthony Wilson's considerable talents as a triple-threat guitarist/composer/arranger have landed him at the top levels of all three of those categories in Downbeat Critics' Poll. Goldings was born in Boston, Massachusetts. His father was a classical music enthusiast, and Larry studied classical piano until the age of twelve. In high school he attended a program at the Eastman School of Music. During this period Erroll Garner, Oscar Peterson, Dave McKenna, Red Garland, and Bill Evans were prime influences. As a young teenager, Larry studied privately with Ran Blake andKeith Jarrett. Larry moved to New York in 1986 to attend a newly formed jazz program under the leadership of Arnie Lawrence at The New School. During college he studied piano with Jaki Byard and Fred Hersch. While still a freshman, Sir Roland Hanna invited Larry to accompany him to a three-day private jazz party in Copenhagen. While there, Larry met jazz legends Sarah Vaughan, Kenny Burrell, Tommy Flanagan, and Hank Jones; and he also played piano in a band with Sarah Vaughan, Harry "Sweets" Edison, and Al Cohn. While still a college student, he embarked on a worldwide tour with Jon Hendricks and worked with him for a year. A collaboration lasting almost three years with jazz guitar legend Jim Hall followed. In 1988, Larry began his development as an organist during a regular gig at a pianoless bar called Augie's (now Smoke) on New York's Upper West Side. He was featured with several bands, and his own trio with guitarist Peter Bernstein and drummer Bill Stewart got its start there. His own first release was Intimacy Of The Blues in 1991. He has released ten or more albums since then, and has appeared as a sideman on hundreds of recordings. Over the course of his career, his distinctive keyboard sound has been sought out more and more by pop, R&B, Brazilian, and alternative artists, including De La Soul, Tracy Chapman, Colin Hay, Madeleine Peyroux, Luciana Souza, Rebecca Pidgeon, Melody Gardot, Walter Becker, Robben Ford, Steve Gadd, Al Jarreau, David Sanborn, Till Bronner, Priscilla Ahn, Jesse Harris, Sia, John Mayer, and Norah Jones. 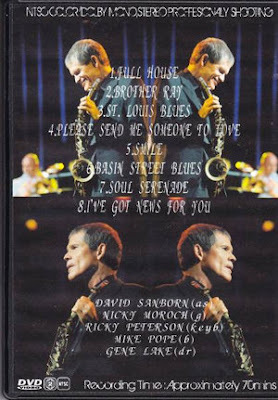 He has had long term collaborations with musicians such as Maceo Parker, John Scofield, Carla Bley, Michael Brecker, Steve Gadd, Pat Metheny, John Pizzarelli, Jack DeJohnette and Charlie Haden, in genres including jazz, Brazilian, funk, and pop music as pianist (since 2001) for singer-songwriter, James Taylor. Larry's melodic style of organ playing has often been compared to that of Larry Young. On organ, Larry cites as his first inspirations the solo piano style of Dave McKenna "who walks his own bass lines better than anyone" and Billy Preston accompanyingAretha Franklin on "Bridge Over Troubled Water." Other influences were the Wes Montgomery records featuring Mel Rhyne and Jimmy Smith; Shirley Scott; Chester Thompson; Joe Zawinul; and Jack McDuff. Among jazz enthusiasts, Larry's organ trio with Peter Bernstein and Bill Stewart has been recognized for charting new ground, with the musicians' synergistic playing and their hard-swinging, yet very thoughtful, music. Larry is a composer, arranger, and producer of music. His music reflects a wide listening palette, from Beethoven and Gabriel Fauré to contemporary artists like The Beatles, Randy Newman, and Bjork. 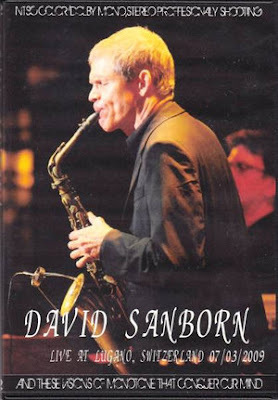 His compositions have been recorded by Michael Brecker, Jack DeJohnette, Bob Dorough, Jim Hall, John Scofield, and Toots Thielemans, among others; and his songs and arrangements appear in the films Clint Eastwood's, "Space Cowboys," John Madden's "Proof," and, more recently, the Judd Apatowfilm, "Funny People." Larry also is a featured performer in the 2009 Clint Eastwood documentary, "The Dream's on Me," playing original arrangements of several classic Johnny Mercer tunes on piano and Hammond organ. In addition to film, Larry's composing, arranging and producing credits include four albums with the vocalist Curtis Stigers in which one can hear their original co-writes as well as Larry's musical arrangements of a variety of contemporary songs and jazz standards. Larry's musical arrangements also can be heard on several James Taylor albums, including October Road, James Taylor at Christmas, One Man Band, and most recently, Covers. In 2007, Larry Goldings, Jack DeJohnette and John Scofield, received a Grammy nomination in the category of Best Jazz Instrumental Album Individual or Group for their performance on the album, "Trio Beyond - Saudades" (ECM). The album captures their live performance in 2004 at Queen Elizabeth Hall in London. Its title is in reference to the musicians' collaboration that began as a tribute to the music of Tony Williams Lifetime group and has now moved beyond to include original works and other music in a similar vein. Also, in 2006, 2007 and 2008, Larry toured the United States and Europe with James Taylor, as his One Man Band, a collaborative project that culminated in the joint CD/DVD release by the same name (Hear Music). The album, which was certified gold by the Recording Industry Association of America (RIAA), features an original composition by Larry entitled "School Song." Originality is what versatile drummer Jeff Hamilton brings to the groups he performs with and is one of the reasons why he is constantly in demand, whether he is recording or performing with his trio, Oscar Peterson, Ray Brown, Laurindo Almeida, the Clayton Brothers or co-leading the Clayton/Hamilton Jazz Orchestra. Jeff's recording, "It's Hamilton Time" (Lake Street Records), received enormous airplay while reaching #5 on the Gavin national jazz radio chart. His trio's second release, "Jeff Hamilton Trio-Live" (MONS) was nominated by critics for best jazz recording in Germany in 1997. The trio's second MONS release is entitled, "Hands On." "Hamilton House-Live at Steamers" (MONS) is the trio's 2000 release. As well as recording and performing throughout the world, Jeff also teaches, arranges and composes. Jeff has received rave reviews for his dynamic drumming. David Badham of Jazz Journal International stated in his review of the Clayton/Hamilton Jazz Orchestra's release, "Heart and Soul" (Capri): "This is one of the finest modern big band issues I've heard...This is undoubtedly due to Jeff Hamilton, a most driving and technically accomplished drummer."" Jeff is equally at home in smaller formats. 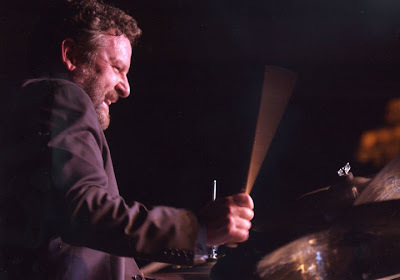 He is an integral part of the Clayton Brothers and Herb Wong stated in his review of their release, "The Music" (Capri), in JazzTimes: "Always evident is...the colorful work of the rhythm section featuring...the sensitivity and sizzle of Jeff Hamilton's seasoned drums." Leonard Feather of the Los Angeles Times described Jeff and his work with Oscar Peterson as "the Los Angeles-based drummer whose intelligent backing and spirited solo work met Peterson's customarily high standards..." In his review of he Ray Brown Trio in the Denver Post, Jeff Bradley stated that Jeff "brought the crowd to its feet with his amazing hand-drumming, soft and understated yet as riveting and rewarding as any drum solo you've heard." Born in Richmond, Indiana, Jeff grew up listening to his parent's big band records and at the age of eight began playing drums along with Oscar Peterson records. He attended Indiana University and later studied with John Avon Ohlen. Jeff was influenced by Gene Krupa, Buddy Rich, Mel Lewis, "Philly" Joe Jones and Shelly Manne. In 1974, he got his first big break playing with the New Tommy Dorsey Orchestra. He then joined Lionel Hampton's Band until 1975 when he, along with bassist John Clayton, became members of the Monty Alexander Trio. He attained a childhood goal in 1977 when he joined Woody Herman and the Thundering Herd, with whom he made several recordings. In 1978, he was offered the position vacated by Shelly Manne in the L.A.4 with Ray Brown, Bud Shank and Laurindo Almeida. He recorded six records with the LA4, some of which featured his own arrangements and compositions. From 1983 to 1987, Jeff performed with Ella Fitzgerald, the Count Basie Orchestra, Rosemary Clooney and Monty Alexander. Jeff began his association with the Ray Brown Trio in 1988 and left in March 1995 to concentrate on his own trio. From 1999-2001, the Clayton/Hamilton Jazz Orchestra was named the in-residence ensemble for the Hollywood Bowl Jazz series. Jeff became part-owner of Bosphorus Cymbals in 2004. He is now one of 3 owners of Bosphorus Cymbals. Email MVos@Bosphoruscymbals.com for more information. The Los Angeles Jazz Society named Jeff and his musical partner, John Clayton, musicians of the year for 2006. A banquet in their honor was held at the Los Angeles Marriott Downtown Hotel. Jeff has often touring with his own Trio, the Clayton-Hamilton Jazz Orchestra and Diana Krall, with whom he recorded the DVDs "Live in Paris" and "Live in Rio" (Eagle/ST2) and performed live for several years, till mi-2009, when he was replaced by drummer Karriem Riggins. In addition to his many recordings with Ray Brown, Jeff has been on nearly 200 recordings with artists such as Natalie Cole, Diana Krall, Milt Jackson, Rosemary Clooney, Barbara Streisand, Mel Torme, John Pizzarelli, Benny Carter, Lalo Schifrin, George Shearing, Dr. John, Clark Terry, Gene Harris, Toshiko Akioshi, Scott Hamilton, Harry "Sweets" Edison, Keely Smith, Bill Holman, Herb Ellis, Barney Kessel and Mark Murphy. Jeff is a frequent guest of the WDR Big Band in Cologne, Germany. He also appeared in Natalie Cole's Great Performances PBS special, "Unforgettable." Party with ur girl DJ Kristen Kastaway this Friday at Saint. Spinning the HOTTEST Top 40, Mash Ups, Hip Hop and House all night!!! Marsha Heydt @ The Garage, NY, tonite! Saxophonist/flutist/composer Marsha Heydy will be leading her band tonight, April 15, at The Garage in NYC from 10:30 pm to 2:30 am. If you are bopping around that area, stop in! No cover charge. 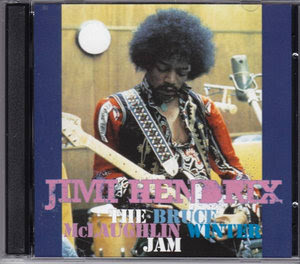 CD of the Day - "Jimi Hendrix, John McLaughlin, Jack Bruce & Johnny Winter"
An unbelievable 2-CD set with the legendary sessions never officially issued by Columbia. 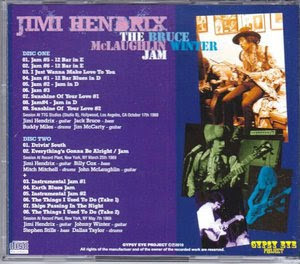 Jimi meets John McLaughlin, Jack Bruce, Mitch Mitchell, Billy Cox, Buddy Miles, Johnny Winter etc. DVD of the Day - "David Sanborn: Live at Lugano 2009"
Recorded live in Swizerland, in 2009, includes nice versions of "St. Louis Blues," "Basin' Street Blues," "Please Send Me Someone to Love," "Brother Ray" and "Soul Serenade". Total time: 70 minutes. This thursday night AEROBAR presents the best house music and the party continues with INDUSTRY PLAYGROUND in the V.I.P room...get ready to jump on the dance floor with residents VINICIO ROTELLI & NELSON DIAZ... and for the ladies no cover all night long with complementary cocktails till midnight..also in the main room the best ones with an open format set CARDI & RADAMAS...so get ready this party is getting better and better. In the High School Big Band category, top honors went to the Los Angeles County High School for the Arts (Los Angeles, CA), directed by Jason Goldman. The runner-up was Rio Americano High School AM, directed by Josh Murray. Third place went to Folsom High School Jazz Band 1, (Folsom, CA), directed by Curtis Gaesser. All three bands will perform at the 53rd Annual Monterey Jazz Festival in September. In the High School Combo category, top honors went to the Los Angeles County High School for the Arts G (Los Angeles, CA), directed by Jason Goldman. Second place went to the Crossroads School for Arts & Sciences A (Santa Monica, CA), directed by Evan Avery. Third place went to Berkeley High School A (Berkeley, CA), directed by Scott Dailey. 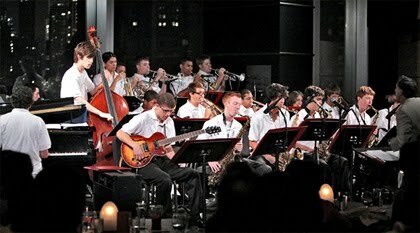 The Los Angeles County High School for the Arts G will perform the 53rd Annual Monterey Jazz Festival in September. In the High School Vocal Ensemble category, top honors went to Folsom High School Jazz Choir I (Folsom, CA), directed by Curtis Gaesser. Second place went to Los Angeles County High School for the Arts (Los Angeles, CA), directed by Pat Bass. Third place went to Hamilton High School Academy of Music (Los Angeles, CA), directed by Jim Foschia. The Folsom High School Jazz Choir and the Los Angeles County High School for the Arts Vocal Ensemble will perform the 53rd Annual Monterey Jazz Festival in September. 2010 is the third year in a row that Folsom has been the top High School Vocal Ensemble. In the College Big Band category, top honors went to California State University, Northridge “A” (Northridge, CA), directed by Matt Harris. Second place went to University of Nevada, Las Vegas I (Las Vegas, NV), directed by David Loeb and Nathan Tanouwe. Third place went to Azusa Pacific University (Azusa, CA), directed by David Beatty. California State University, Northridge “A” will perform at the 53rd Annual Monterey Jazz Festival in September. In the College Vocal Ensemble category, top honors went to Mt. San Antonio College “Singcopation” (Walnut, CA), directed by Bruce Rogers. Second place went to Sacramento State University Jazz Singers (Sacramento, CA), directed by Kerry Marsh. Third place went to American River College (Sacramento, CA), directed by Art Lapierre. Mt. San Antonio College “Singcopation” will perform at the 53rd Annual Monterey Jazz Festival in September. In the Conglomerate category, top honors went to the Jazzschool Monday Night Studio Band (Berkeley, CA), directed by Keith Johnson. Second place went to the American Music Program (Portland, OR), directed by Thara Memory. Third place went to the Jazzschool Thursday Night Studio Band (Berkeley, CA), directed by Keith Johnson. The Jazzschool Monday Night Studio Band will perform at the 53rd Annual Monterey Jazz Festival in September. In the Open Combo Division, top honors went to California State University, Northridge 1 (Northridge, CA), directed by Matt Harris. Second place went to the Chase Morrin Group (San Diego, CA), directed by Chase Morrin. Third place went to California State University, Northridge 2 (Northridge, CA), directed by Matt Harris. The Monterey Jazz Festival is also proud to announce the winner of the Next Generation Jazz Festival’s Composition Competition. John Sturm, from Princeton High School in Princeton, New Jersey, won with his composition, “Sounds of Dusk” which will be performed by the Next Generation Jazz Orchestra on the Jimmy Lyons Arena Stage on September 19, 2010. He will receive the 3rd Annual Gerald Wilson Award and a cash prize. For a complete list of top ensembles, outstanding soloists and scholarship recipients, please visit www.montereyjazzfestival.org. See below for a complete list of the performers at the 53rd Annual Monterey Jazz Festival in September, 2010. The 6th Annual Next Generation Jazz Festival got off to a spectacular start on Friday, April 9th with a standing room-only crowd of 1,500 jazz fans for the highly-anticipated Kick-Off Concert. Opening the show were ensembles from Texas Southern University, who entertained the crowd prior to the performances by the NGJF Judges, including Alan Pasqua (piano); Billy Harper (tenor saxophone); Paul Contos (alto saxophone); Aaron Lington (baritone saxophone); Terri Lyne Carrington (drums); Andy Martin (trombone) Ray Drummond (bass); Corey Christiansen (guitar) and vocalists Matt Falker, Michele Weir, and Jenifer Barnes. Artist-In-Residence Dianne Reeves also performed, and got the largest-ever audience for the Next Generation Jazz Festival on their feet with a standing ovation. The jazz masters performed in small combos and all-star groups which set the standard for the high energy and excitement to be felt throughout the weekend. After the conclusion of the Kick-Off Concert, a large number of students remained to participate in the traditional Student Jam Session, hosted by Berklee College of Music’s Nadia Washington Quartet. Prior to the start of the concert, the Monterey Jazz Festival presented its annual Salute to Jazz Education, hosted by local radio personality Barry Brown. The event recognizes educators, student participants, volunteers, and the many supporters of the Festival's year-round Jazz Education Programs with plaques named in honor of past MJF Board members. Monterey Mayor Chuck Della Sala opened the Salute by issuing a proclamation of Jazz Weekend Monterey in honor of the Next Generation Festival. Saturday’s activities included over ninety back-to-back performances in five locations in downtown Monterey, the largest amount of shows ever produced by the Next Generation Jazz Festival. Tourists and fans alike gathered in large numbers at the historic Fisherman’s Wharf and Cannery Row, the Portola Hotel & Spa, and the Monterey Conference Center. The participating bands performed with precision, taste, and professionalism that belied their young looks on stage. In addition, several clinics were held at the Next Generation Jazz Festival, including two separate vocal clinics with Dianne Reeves and Nadia Washington. Ms. Reeves brought up four young vocalists who then performed in front of the crowd, with Ms. Reeves providing pointers, tips input, and encouragement. Early Saturday evening, after a long afternoon of performances, students packed the Serra Ballroom to hear the announcement of the top High School Big Bands, Vocal Ensembles and Combos, and soloist and scholarship awards. As usual, explosive applause rang out in support of the soloist winners, scholarship winners, and for the top groups from their fans. The Showcase Concert that evening was a preview of the 2010 Monterey Jazz Festival, which included the big bands from Los Angeles County High School for the Arts, Rio Americano High School, and Folsom High School; the Folsom High School Jazz Choir and the Los Angeles County High School for the Arts Vocal Ensemble; and the Los Angeles County High School for the Arts G combo. Only at the end of the evening would it be known that Los Angeles County High School for the Arts Big Band earned their second appearance in a row on the Arena Stage - and their third time since 2007. After the conclusion of the Showcase Concert, students continued to play music for several more hours in a jam session hosted by the house band for the evening, the combo from the University of Nevada, Las Vegas. Sunday morning may have brought a rainstorm to Monterey, but that didn’t dampen the enthusiasm for the final components of the Next Generation Jazz Festival: the Middle School, Conglomerate, College Big Band, and College Vocal Ensemble performances. In the Steinbeck Forum, six middle school bands - some with members that were barely teenagers - played with intense devotion and ebullience to the room of proud parents and fans. In addition, a special clinic on performance tips improvisation was held by the middle school adjudicators Dave Loeb, Dave Gregoric, and Dr. Howard Harris. All gave valuable advice to the young performers. Downstairs in the Serra Ballroom, the Conglomerate Division was also underway. Representing the best-of-the-best high school musicians in a particular region of the country, each band was an all-star congregation of young players. For the second year in a row, Berkeley’s Jazzschool Monday Night Studio Band won top honors (the Jazzschool also took third place with their Thursday Night Studio Band), with the American Music Program from Portland as the runner-up. The Jazzschool Monday Night Studio Band will perform in the Night Club at the 53rd Monterey Jazz Festival on September 19, 2010. The College Big Band Division featured some of the most professional-sounding groups in the nation. Fluid and commanding in their performances, each group showcased their unique interpretations of big band literature. The California State University, Northridge “A” took top honors, with second place going to the University of Nevada, Las Vegas I. Third place went to Azusa Pacific University. For the second time in three years, California State University, Northridge “A” will perform at the 53rd Monterey Jazz Festival in September. Sunday afternoon was College Vocal Ensemble time in the Steinbeck Forum, with each of the six top schools showing their sophisticated and daring harmonic sounds. In the end, Mt. San Antonio College “Singcopation” took top honors, with second place going to the Sacramento State University Jazz Singers. Third place went to American River College. Mt. San Antonio College “Singcopation” will make their debut at the 53rd Annual Monterey Jazz Festival in September. Also on Sunday, behind closed doors, live auditions for the Next Generation Jazz Orchestra were taking place. The Next Generation Jazz Orchestra, one of the premier high school bands in the country, is the Monterey Jazz Festival's national high school showcase band, filled with all-star musicians from around the country. The prestigious orchestra will embark on a 10-day North American tour, with five performances slated in Cleveland, the Toronto Jazz Festival, the Montreal Jazz Festival, Burlington, Vermont; and New York City’s Jazz Standard, from June 30 - July 7, 2010. Student musicians also auditioned for the Jimmy Lyons Scholarship, a four-year, full tuition scholarship to Berklee College of Music, named in honor of MJF's founder. After two days and nights, with nearly one hundred twenty events in five locations, performed by over sixty-three participating groups, the 6th Annual Next Generation Jazz Festival came to a close, marking the largest attendance of fans, musicians, and performances in the event’s forty-year history. All the students, fans, judges, and educators who came to the Next Generation Jazz Festival will have memories of 2010 that will carry into the future of their extraordinary weekend in Monterey. Two new Official Partners joined in the Next Generation Jazz Festival festivities over the weekend. Jazz Cruises was a prominent player with a booth set up in the Conference Center lobby, and with their sponsorship of the official Next Generation Jazz Festival T-Shirts, visible throughout the downtown Monterey area throughout the weekend. The classic jazz publication, DownBeat Magazine, was also prominently displayed in the hub of all the NGJF activity. DownBeat gave away over 500 copies of their latest issue throughout the weekend, in addition to offering DownBeat shirts and souvenirs recognizing their 75th anniversary. For the second year in a row, the Next Generation Jazz Festival hosted two jazz-related endeavors: The Instrument Showcase and the College Fair. The former hosted representatives and instruments from Antigua Winds, Best Buy Instruments, Gallien-Krueger, and Steve Gray’s Musical Instruments. As an indication of the popularity of the Instrument Showcase, the venue was jam packed throughout the weekend with students trying out offerings from the new NGJF partners. The Next Generation Jazz Festival College Fair hosted some of the top schools and jazz programs in the country, including the Jazzschool, Roosevelt University, the Stanford Jazz Workshop, Texas Southern University, University of Nevada, Las Vegas; and University of the Pacific. In addition, longtime MJF partner Yamaha provided instruments for Next Generation Jazz Festival stages, and J. D’Addario & Company gave away reeds, strings, and other complimentary products. The 7th Annual Next Generation Jazz Festival is slated for April 1 - 3, 2011. The MJF High School Jazz Competition will celebrate its 41st year in 2011 and will continue to draw the country's best student bands, vocalists, and individual musicians. The Monterey Jazz Festival is proud to support the Next Generation Jazz Festival and congratulates all the participants, fans, volunteers, parents, supporters, and donors who have helped make this special event possible every year. A three-year grant from the Surdna Foundation supports the Next Generation Jazz Festival and the Next Generation Jazz Orchestra's international tours. The Surdna Foundation’s Arts Program is national in scope and supports the artistic advancement of teens, ages 12 - 18. Additional financial support for the Next Generation Jazz Festival comes from foundations such as the AT&T Foundation, the D’Addario Music Foundation, and the Joseph Drown Foundation. Partners, highlighted above, include DownBeat Magazine, Jazz Cruises, Yamaha Piano Division and the Yamaha Pro Audio and Combo Division, and with gifts-in-kind from Yamaha, Rico Reeds, and generous individual contributors. *Sounds of Dusk will be performed at the 53rd Annual Monterey Jazz Festival by the Next Generation Jazz Orchestra, on the Jimmy Lyons Stage on Sunday, 9/19/10. Mr. Sturm will also receive the 3rd Annual Gerald Wilson Award. 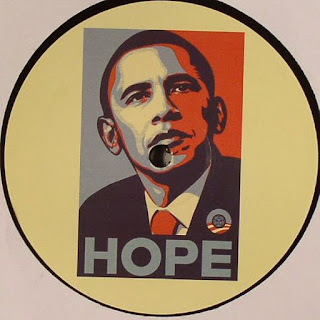 Single of the Day - "John Martine: Good Idea"
CD of the Day - "Papudinho Especial"
Obama: "How much could you save on your taxes?" CD of the Day - "Eliana Pittman: La Fabulosa!" CD of the Day - "Candido & Graciela: Inolvidable"
Tomasz Stanko live in Hollywood, tonite! CD of the Day - "João Donato Trio: Sambolero"
Sony Holland Duo live in Glendale, tonite! EP of the Day - "Erotica 7"
“Don’t Forget The Lyrics” is back!